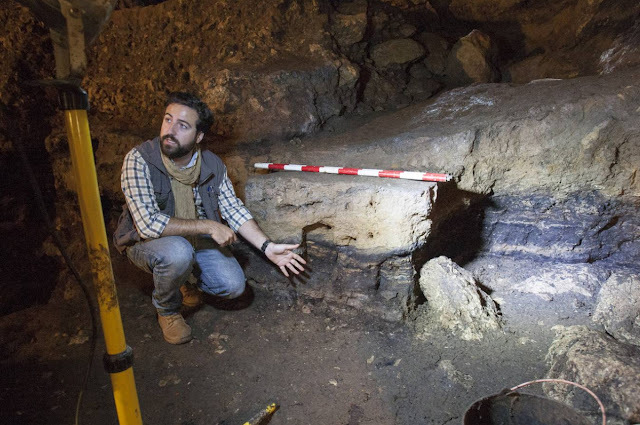 Just nine days of excavations in the cave of El Pendo during September have been enough to confirm one of the main hypotheses of the researchers prior to entering the cave located in Escobedo last year, when the team led by Edgard Camarós, archaeologist of the Catalan Institute of Human Paleoecology and Social Evolution, presented its ambitious scientific project to explore the depths of cave. Now, in the second season, fieldwork has proven that the cavity was a permanent and continuous settlement for Neanderthals for thousands of years. The discovery will enable scholars to scrutinize human development over approximately 80,000 years. Camarós, joined by Marián Cueto and Pablo Arias from the International Institute for Prehistoric Research of the University of Cantabria as project co-directors, does not hide his emotion. 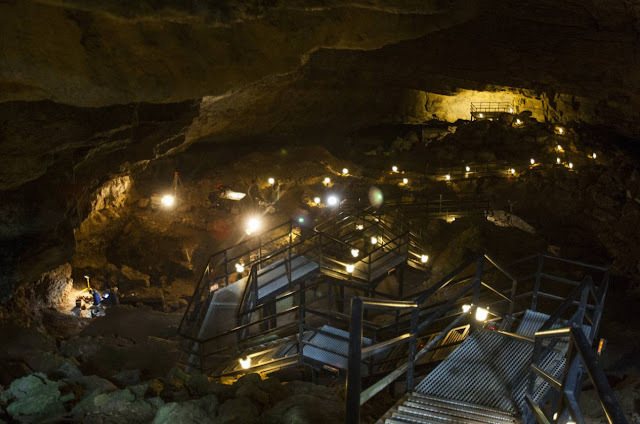 "Only in the cave of Kebara, in Israel, do we see levels similar to those here. With a number of campfires fires that we have found, and continuing for so long, there is nothing comparable in the Iberian Peninsula." "We have worked in the old area of Santa Olalla, leaving a very interesting area open for excavation in 2018. It is a transition zone, from the Middle to the Upper Palaeolithic, when the change from Neanderthal to Homo sapiens takes place. We're talking about 50,000 or 60,000 years ago. We are also clear about what lies in the other old area, Carballo. 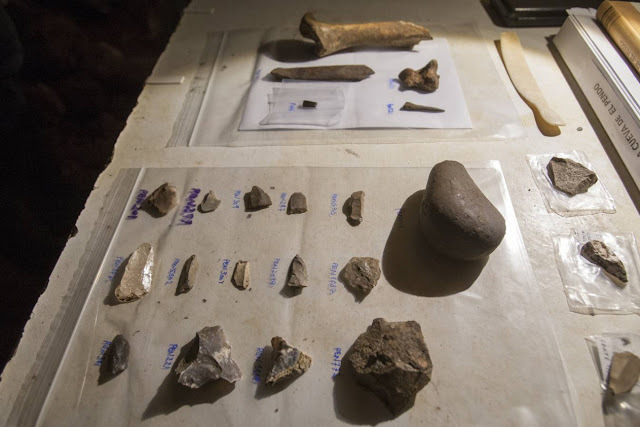 It's the Magdalenian era, 14,000 years ago, and next year we're going to intervene," explains Camarós. "It is the site where numerous artefacts were discovered. We hope to have new findings there as El Pendo's potential is impressive. 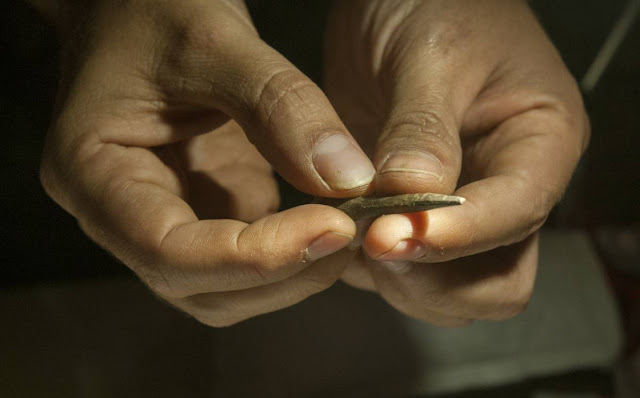 Given what we've discovered, there's work here for several generations of archaeologists." "In this 'encyclopedia' of human evolution, which is about 25 metres high and more than 80 metres deep in the chamber cavity - dimensions that at one time or another in history allowed a living area of around 600 square metres - scientists have found a key volume, which reflects the leap that led to the transition from the Neanderthal species to the most sophisticated Homo sapiens. All this with fire, evidence of which is everywhere in Camarós, as the central element to express the process over thousands of years because the bonfires not only served to warm up, but also to cook and socialize. Learning to cook food meant that the jaw did not need to be so developed and free up space for a larger brain. Socialization was also very important, because where there is contact between groups and relations between them there are evolutionary leaps. 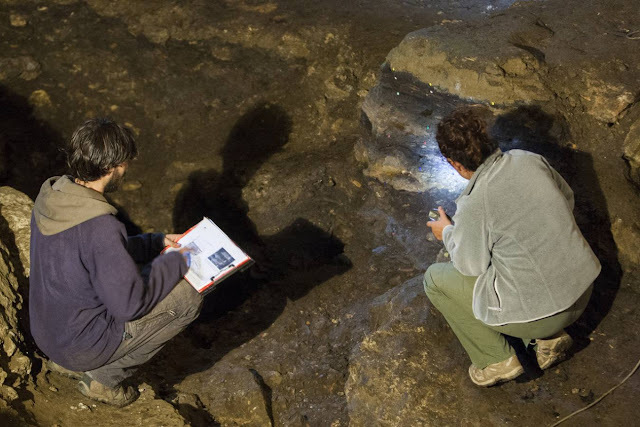 It is evident that here there has been a very long occupation in time," he says pointing to the different layers of ash that the grotto houses. "Our plan is to work on a very wide compass. Here we have the library of the human brain and what we are going to do is read the different volumes in several areas at once. We're going to study the rock at the microscopic level in the lab. Now we're going to process the surface material at the start of next year. So far we've done it vertically to understand antiquity. The next campaign is the one that will allow us to know what life was like around the fires. If there were meetings, where they ate, fell asleep... and many more details besides," says Camarós. "That's in the Santa-Olalla area. 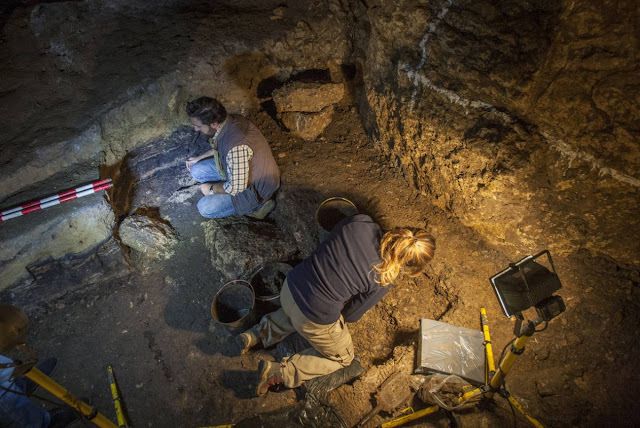 In Carballo's, with its eyes set on the Magdalenian, what we are going to look for is the answer to why in El Pendo there was this richness of groups and their relationships. There could be seven or eight groups here simultaneously. It is worth remembering that 50,000 years ago the humans in this area of Cantabria were hunters and gatherers, communities made up of 35 or 40 individuals generally." Along the way, a multitude of tools of different finishes and types continue to emerge. With regard the possibility of finding new paintings, more findings are not ruled out, especially thanks to the use of new technologies.